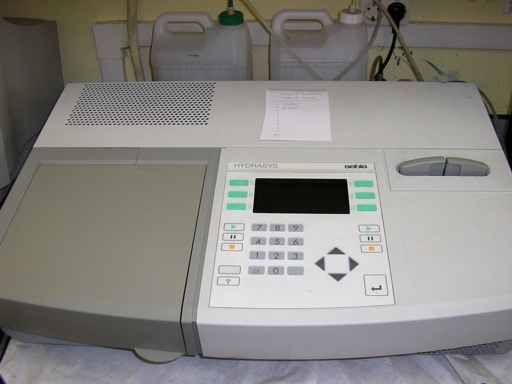 -Automated clinical chemistry analyzer Olympus AU400: it performs photometric and potentiometric determinations of analytes’ samples (400 tests per hour) in combination with reagents, calibrators and quality control materials, as well as other fitting accessories. 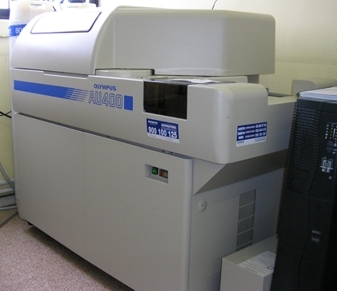 - Automated clinical chemistry analyzer COBAS MIRA: (144 tests per hour), with which several wide-ranging applications are performed. 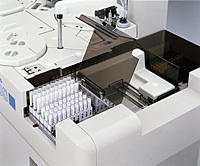 - HYDRASYS system: semi-automated multiparametric instrument which performs agarose gel electrophoresis available in Hydragel’s manual techniques (serum proteins, immunofixation, lipoproteins, cholesterol HDL/LDL, CSF…). - HYRYS system: multitask densitometer based in a microprocessor. 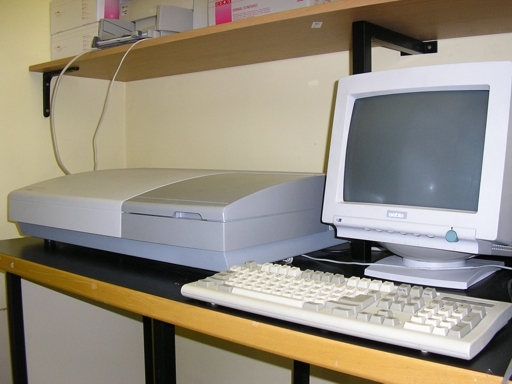 Gel electrophoresis is scanned and therefore their resulting curves are analyzed. 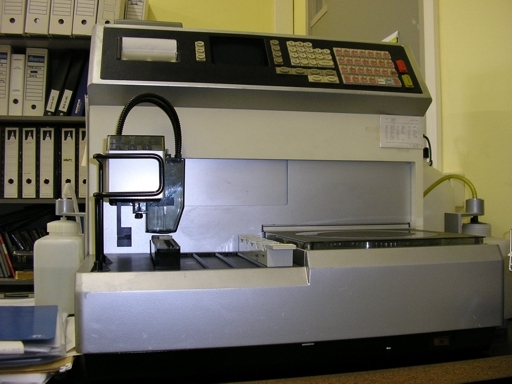 It’s a completely programmable system, with 26 analysis programs which can be modified by the operator. - Manual system for the performance and reading proteinograms in cellulose acetate gels. 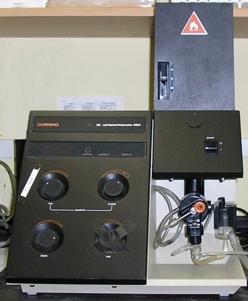 - Flame photometer Corning 410 C: it determines sodium and potassium ions quantities. 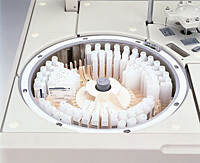 It comes with an automated sample dilutor. 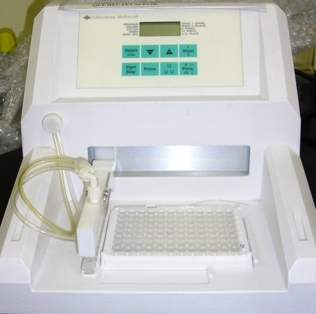 - ELISA plates reader LabsystemsiEMS Reader/Dispenser MF: it measures photometric immunoenzimatic assay, with stirring and temperature control abilities. Measure range is 4000 OD. The reader can be programmed with specific software (GENESYS). - ELISA Labsystems Multiwash plate washer, which can be programmed with several washing parameters: number of columns to process, plate type… Up to seven different washing sequences can be introduced and saved in memory. 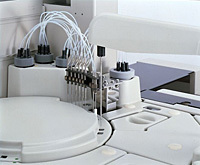 - Automated system for ELISA test, with 120 sample full capacity and 384 test per run. 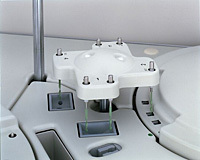 It performs automated dilution, dispensation, incubation and washing, including the microplates reader with curves graphic wizard software.